Exceptional Las Cruces Air Conditioner Repair! Dealing with an AC repair can be a long task. Some companies may not arrive for hours and they don’t work as efficiently as you would expect. 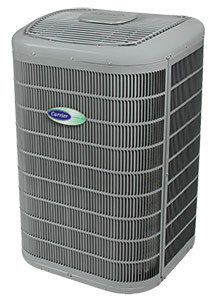 When your AC unit dies out in the hot summer months, you want the problem fixed fast. With Aircon Heating & Cooling Inc., you won’t need to worry about slow response time or inefficient service! Our trained technicians are standing by to tackle an AC problem you may be experiencing. Call us today for your Las Cruces air conditioning repair needs! We proudly serve Las Cruces with top-notch air conditioning services! Why Choose Aircon for AC Service in Las Cruces? We offer FREE estimates on new equipment. Stay Cool and Comfortable With Quality AC Service in Las Cruces! Is your air conditioner not performing like it should? Not feeling refreshed and comfortable in your own home? If this is your situation, go ahead and give us a call today. We will gladly diagnose your air conditioning problem and offer solutions focused around your comfort. Customers have always been our top priority! Contact us today for the reliable Las Cruces AC repair you can count on!